A speedy trial is guaranteed by the Sixth Amendment of the constitution. It guarantees the rights of Americans accused of crimes to not be jailed for a significant amount of time prior to their fair trial. Any unreasonable delay can have the case against the defendant invalidated. What determines a speedy trial? The definition of a speedy trial will vary by jurisdiction, with many setting time limits based on the severity of the crime. If exceeding the threshold for a speedy trial, then the case can be dismissed. Restrictions on this may include long periods of time allocated for serious offenses, such as murder, which will give the state sufficient time to prepare a case against the accused. The Supreme Court ruled in the 1972 case Barker v. Wingo that the standard that constitutes a speedy trial must be applied on a case by case basis, with regard to the length and reason for the delay. The prosecution may especially not delay a trial to build a stronger case against the defendant. An actual determination of the amount of time that constitutes an unreasonable delay was not made. A trial may be delayed, for example, to find a witness that is critical to the case. Factors such as perceived prejudice against the defendant that led to a delay of trial will also be taken into account. When the defendant asserts his or her right to a speedy trial is also a factor in the determinations to see if the defendant has been denied the right to a speedy trail. Delays can be in the favor of the defendant and if the defendant does not assert the right to the speedy trial, then it is assumed that the defendant and his or her defense has benefited in the delay of trial. 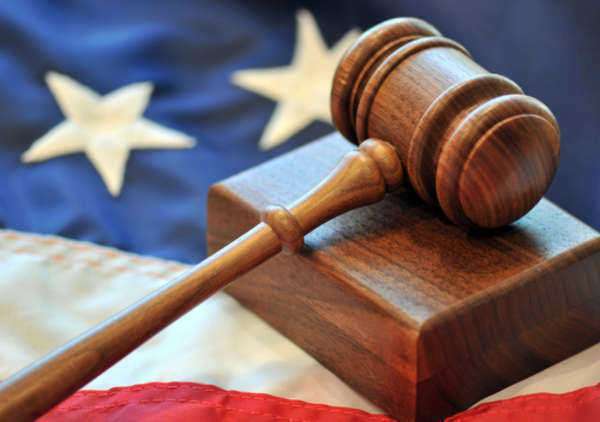 The precedent of cases against defendants that have had their right to a speedy trial violated to be thrown out was established in the 1973 case of Strunk v United States. In this case, the conviction is overturned and the case is dismissed. Another case on the same charges cannot proceed due to prohibitions on double jeopardy against those arrested for an offense. Although a case can be dismissed due to the lack of a speedy trial, this tends to be rare and prosecutors will be aware of time constraints, statutory or otherwise that constrain them. If a speedy trial ends with a hung jury, a mistrial may be declared and a new trial may begin. This is not subject to the prohibitions on double jeopardy or the right to a speedy trial. What is an example of a speedy trial statute? The speedy trial statute in Ohio requires misdemeanor cases to be tried with 30 days and 275 days for felonies. For multiple charges, the highest charge determines the time limit of the case. Local lawyers are familiar with local speedy trial statues and can file provisions to extend the statue or can motion to have the case dismissed if there is a compelling violation of speedy trial statutes.